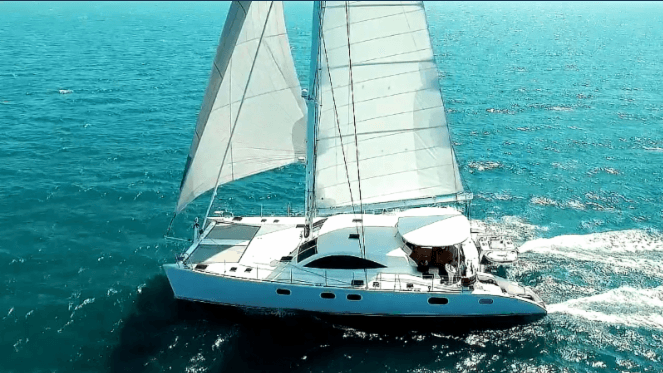 The newly built catamaran, LAYSAN is now available for charter in the East Mediterranean during the summer and the Caribbean during the winter! At 72′ long and 35′ wide, she is the epitome of luxury afloat. Her generous space will amaze and comfort you. Whether at sail, motoring or at anchor, LAYSAN defines stability and luxury. The finest finishes and fittings were appointed to create a truly breathtaking modern and elegant living space while functioning to the highest standard for a contemporary yacht. LAYSAN can reach speeds of over 13 knots, which will make you feel as though you are flying over water!